Big Finish: The 10th Doctor & Donna Return - Sneak-preview! 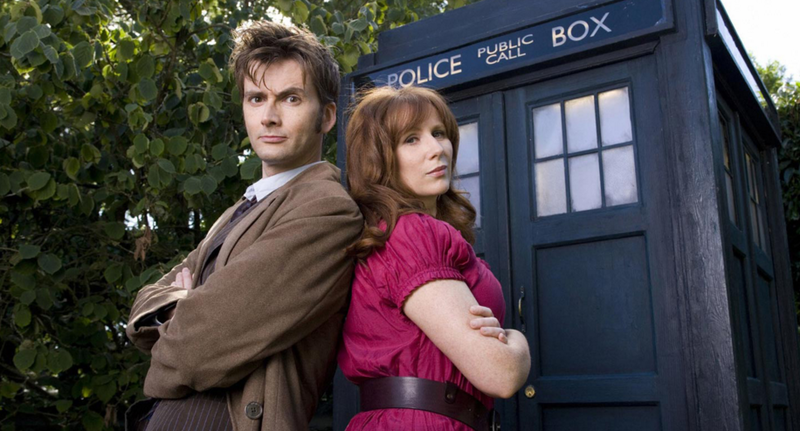 Earlier this Autumn, it was announced that David Tennant and Catherine Tate would return to the world of Doctor Who as their characters (The 10th Doctor and Donna Noble) in a series of Big Finish audio adventures - after the company secured the rights to new series characters. A month later and the internet has the first preview of the dynamic-duo in action. Tennant last appeared in Doctor Who in the 50th anniversary special, 'The Day of The Doctor', while Tate hasn't been in the show (in a companion role) since 2008. Radio Times have managed to get an exclusive first listen at episode 2 (out of the three commissioned), titled 'Time Reaver', which we have embedded below. "Calibris. The spaceport planet where anything goes. Where anyone who doesn't want to be found can be lost, and where everything has its price. Where betentacled gangster Gully holds sway at the smugglers’ tavern, Vagabond’s Reach. The alien Vacintians are trying to impose some order on the chaos. Soon the Doctor and Donna discover why. An illegal weapon is loose on the streets. A weapon that destroys lives… Slowly and agonisingly. The Time Reaver." The new audio dramas will be released on the Big Finish website in May 2016, and are available to pre-order from today.